This is beyond sleeper. This is anonymous. This is damn near invisible. This is cool. 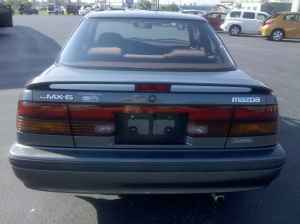 The MX-6 was, for all intents and purposes, a 2 door Mazda 626. It was also, for all intents and purposes, a Ford Probe. The MX-6 shared a floorpan and drivetrain with the Probe and was built in the same assembly plant in Flint Rock, MI. The MX-6 GT looks just like the rest of the MX-6 line. In fact, you'd be hard pressed to tell it from the MX-6 LX. The big difference between the two, the very big difference between the two, is the engine. 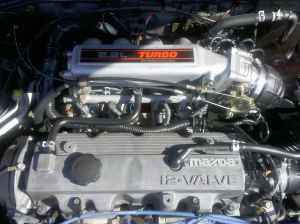 Where the rest of the MX-6 line came with a 2.2 engine that put out 120 HP, the GT had the same engine with a turbocharger bolted to it and it put out 145 HP. The car could reach 60 MPH in around 7 seconds. The GT also came with a three-way electronically adjustable suspension, with sport, normal and comfort settings. Like so many older Japanese cars, many MX-6 GTs fell into the hands of kids who lowered them, "customized" them and generally beat the hell out of them until their only real value was the price they'd bring in as scrap. 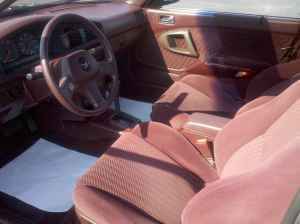 This car is, according to the seller, a completely stock (right down to an AM / FM / cassette deck), well taken care of MX-6 GT. The car has just 97,000 miles on it and everything still works. The downside is that it's an automatic. It's not a bad automatic and if you ignore the overdrive button it's not too intrusive on the overall driving experience. (I have a friend whose wife had one many years ago. I got to drive it a few times. It really wasn't too bad. Still, a manual transmission would be more fun.) That's the trade off, I guess. You get a well taken care of, hard to find in this condition, car, but you have to put up with the automatic. If I were in the market for an MX-6 GT, that's a trade off I'd make. 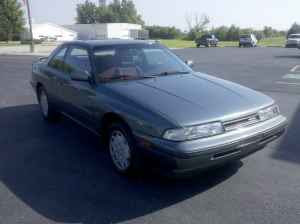 Located in Goshen, IN, click here to see the Craigslist ad. You can find a really well written owner review of the MX-6 GT here. A turbo AND Oscillating vents? Who could possibly resist if it was a manual?